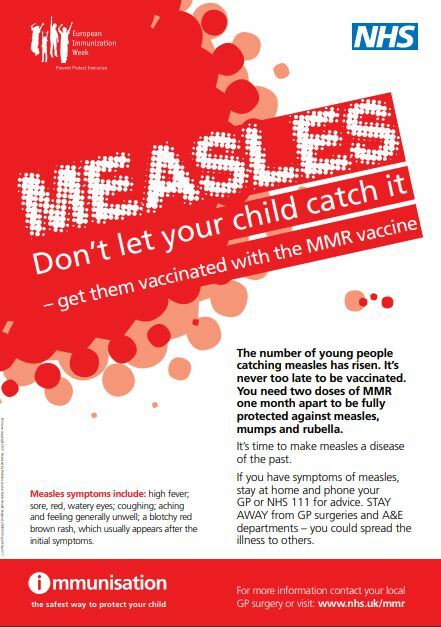 There has been some confirmed cases of measles in the Leeds area. If you are unsure if your children are up to date with their vaccinations, please contact the surgery and we will check for you. Please do not bring children to the surgery for simple cold symptoms. 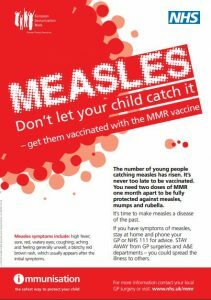 In addition if you think your child has a rash that could be measles please inform the receptionist and your call may be passed to the on call GP. If we need to see and assess your child you will be placed in an isolation room to prevent the risk of the infection spreading.